For now there can be found same main channels than ts.aao25.com has, but there are also few new channels as well. Members will have roles based on their clan, basically each clan has similar - but differently named role. These roles are used in defining privileges for different stuff. Basically same clan members will have same role and they have all the access to their channel. With clan role you can also see your own textchannel that no one without privileges ( = correct role ) can see. You need to join these servers only once, after first join they will be in your use automatically when you start the application. Then you can have private conversations with other users. These messages will be saved, so you wont loose them when you disconnect. Windows users might need to run application as administrator to get mic working during game. 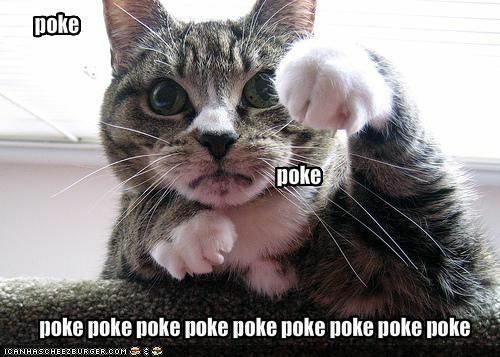 If you have anything to ask about this, do not hesitate to poke. This is an alternative to Teamspeak that anyone is welcome to use if they please, but it is not an official server provided by us. Not right now at least. Just tried it yesterday on my smartphone, it works really smooth and its designed in a smart way. Wow thanks ronski. Ive used it like 5 mins and looks very simple. I like the idea u can download the app also. Following chart explains it better than thousand words. Where can I get Discord? How can I join server? After you have installed your Discord application you are able to Create and Join server. I have joined, what next? After you join to AAO25 -server you get screen like this. Well actually your screen looks a bit different than mine, since Im not using default colour theme. So there are colour themes: light ( = default ) and dark. You can change these from bottom left corner of your application window, there by right side of your name you can see three buttons. Mute, Deafen and User Settings. Pay attention for these User Settings, from there you can set all push to talk, key binds, account details etc. As you can see from picture above, there are quite many #textchannels. When you join there you see only #general and #news. This is because of roles and role privileges. There can be numerous of different roles and every role can have different privileges. Basically in these AAO25 and AAO25 Scrim servers there are three different kind of roles. Admin, Clan member and Normal User. From this image you see there is Admin role, and then there is a list of clans marked in yellow. They are roles defined to clans and each clan has similar roles when compared to each other. For what are these roles for? With roles we can decide which group of people has access and power in which channel. Basically clan has all the access for their own Voice & Text channels. Why there are two servers? Simply because of the amount of channels and the lack of TS3 kind of hierarchy. Not all of us needs scrim channel so these channels can be elsewhere. In AAO25 Scrim server you can join only to those channels where your role allows you to join. So there are no password requirements - privileges are defined by the role. AAO25 server is made to be as a lighter and new generation alternative for ts.aao25.com where players could meet each other. Mobile app makes this be like a good mixture of TS3 and Whatsapp. Windows users might need to run application as Administrator to be able to run it in correct way while playing. We have been testing this with mobile devices as well and it works wonderfully in mobile use. It's not only an eye candy, it's also very handy. #textchats in mobile use works like whatsapp group chats and the best part is that you can read or even join the same chat from desktop. So all the details you discuss during day about upcoming scrim match is right there when you move on from your mobile to your computer. You can also join voice chats with your mobile easily. In Discord you use your email as your user account, so no matter what device you are using you are still you. 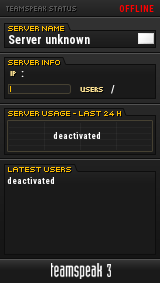 When you login for example for the first time with your mobile device after you have used Discord with your computer, all your servers are ready to be used, you don't have to connect to every server again and again and again. Our clan is using whatsapp daily, this might replace the need of whatsapp for us completely. Here's another chart for you. Take a look how these three apps are affecting on fps. With high performance you wont spot the difference but if you're struggling from fps issues in general then you will see it yourself. 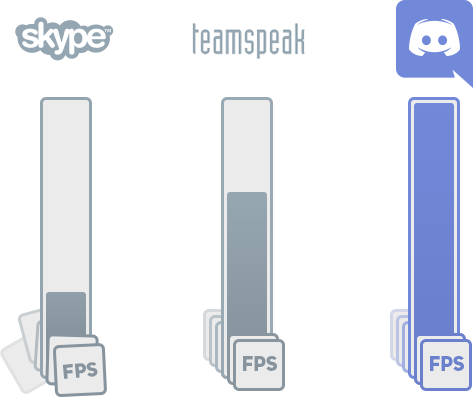 Discord is built with the latest tech using a modern jitter buffer, automatic gain control, noise suppression, echo cancellation, system attenuation on Windows and more. You'll love it and it works everywhere: desktop apps, browser apps, and soon phones. Yesterday I noticed this and there's huge difference between TS3 and Discord in quality of sound. In TS my voice got cut every now and then while speaking and Discord recognised me even crunching chilli-nuts and didn't cut my voice at all. See who's talking, adjust voice controls, receive and respond to discord text messages; all without leaving the game. Connect your game account to Discord, sync your guild roster, etc. Truly make Discord your own. Create your own plug-ins for Discord using our API. Set up bots to auto-post content in channels from Twitter, database sites, etc. Easily post game results, dps meters, and more in your text channels with simple commands. An optional added layer of account security that requires authentication on your phone. Directly call other Discord users without setting up or joining a channel. Customize Discord with premium bling like skins, sticker packs, and sound packs. Awesome program I'd say. Haven't even started up TS3 for a week. Feels so antique when comparing Discord. So halko have you face any troubles with your sounds when using discord ft. aa:pg? I lost my all sounds and had to reboot the pc to get em back. Accually forgot that. I heard that u've experienced some issues with but I haven't played AA:PG with Discord yet. I'll let u know how it works.